I am interested in a range of conservation and animal welfare issues. Through my research, I seek to obtain the data needed to inform practical solutions that reduce the suffering of wild animals and protect wild populations. 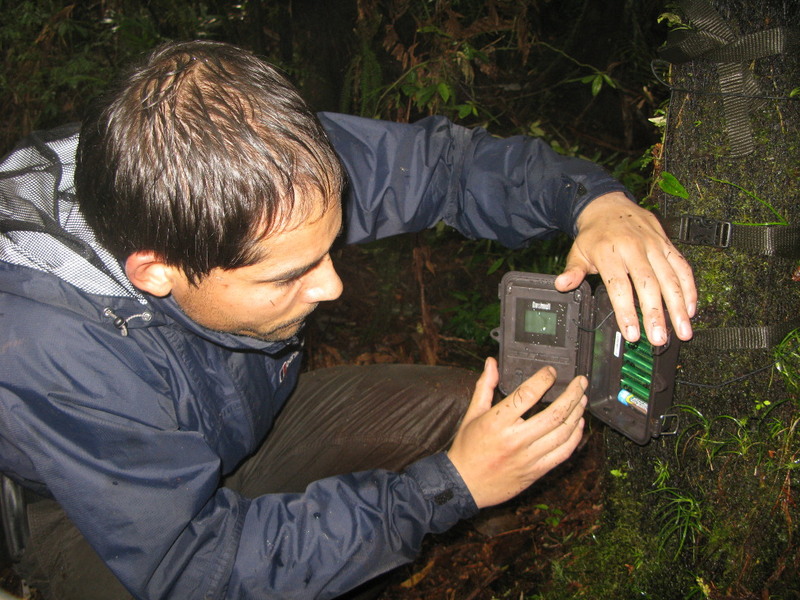 Since 2004, I have led biodiversity surveys throughout Africa, Asia, Europe and Central America that have generated baseline ecological data for a range of different taxa in previously unexplored areas. These field surveys led to the discovery of six new species and also secured the first wild photographic evidence of the endangered Visayan spotted deer and Warty pig via remote camera trapping in the Philippines. More recently, I have also been involved in addressing a number of complex global issues that threaten wild animal welfare and survival including human-wildlife conflict and wildlife trade. My efforts have helped to improve the welfare and conservation status of a wide range of different species including Sloth bears in India, Civets in Indonesia, Brown bears in Turkey, and Green turtles in the Caribbean. A professional photographer, images relating to my research have also featured in a number of high profile media publications such as the Guardian, Der Spiegal, Le Monde and National Geographic. During my career I am fortunate to have lived, worked and travelled in over 40 countries across 6 continents and have published over 30 peer-reviewed scientific articles. I first joined WildCRU as visiting academic in 2014. My main research areas of interests are: biodiversity surveys, human-wildlife conflict and wildlife trade. Can Ö.E., D’Cruze, N., Balaskas, M., & Macdonald, D.W. (2017). Scientific crowdsourcing in wildlife research and conservation: Tigers (Panthera tigris) as a case study. PLoS Biology, 15: e2001001. Hudson, L. N., … D’Cruze, N.,… et al. (2017), The database of the PREDICTS (projecting responses of ecological diversity in changing terrestrial systems) project. Ecology and Evolution, 7: 145–188. D’Cruze N., & Macdonald, D.W. (2016). A review of global trends in CITES live wildlife confiscations. Nature Conservation, 15: 47–63. Moorhouse T.P., Balaskas, M., D’Cruze, N., & Macdonald, D.W. (2016). Information could reduce consumer demand for exotic pets. Conservation Letters, in press. Carder, G., Proctor, H., Schmidt-Burbach, J., & D’Cruze, N. (2016). The animal welfare implications of civet coffee tourism in Bali. Animal Welfare, 25,199-205. D’Cruze, N., Singh, B., Morrison, T., Schmidt-Burbach, J., Macdonald, D.W., & Mookerjee, A. (2015). A star attraction: The illegal trade in Indian Star Tortoises. Nature Conservation, 13, 1-19. D’Cruze, N., & Macdonald, D.W. (2015). Clouded in mystery: the global trade in clouded leopards. Biodiversity and Conservation, 24, 3505-3526. Moorhouse T.P., Dahlsjö C.A.L., Baker S.E., D’Cruze N.C., & Macdonald D.W. (2015) The customer isn’t always right — conservation and animal welfare implications of the increasing demand for wildlife tourism. PLoS ONE 10: e0138939. doi:10.1371/journal.pone.0138939. D’Cruze, N., Toole, J., Mansell, K., & Schmidt-Burbach, J. (2014). What is the true cost of the world’s most expensive coffee? Oryx, 48, 170-171. Pfeifer, M.,… D’Cruze, N.,… et al. (2014) BIOFRAG – a new database for analyzing BIOdiversity responses to forest FRAGmentation. Ecology and Evolution, 9, 1524-1537. D’Cruze, N., Alcock, R., & Donnelly, M. (2014). 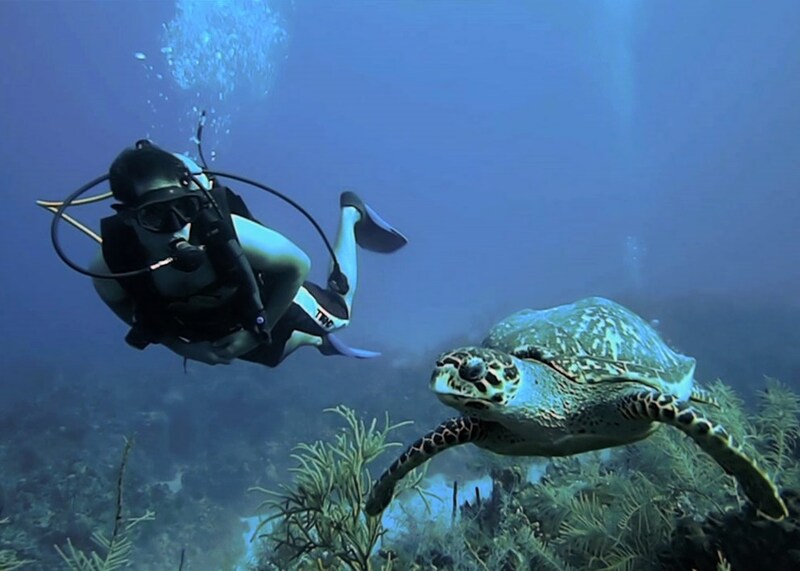 The Cayman Turtle Farm: Why we can’t have our green turtle and eat it too. Journal of Agricultural and Environmental Ethics 28: doi: 10.1007/s10806-014-9519-6. Baker, S.E., Cain, R., van Kesteren, F., Zommers, Z.A., D’Cruze, N., & Macdonald, D.W. (2013). 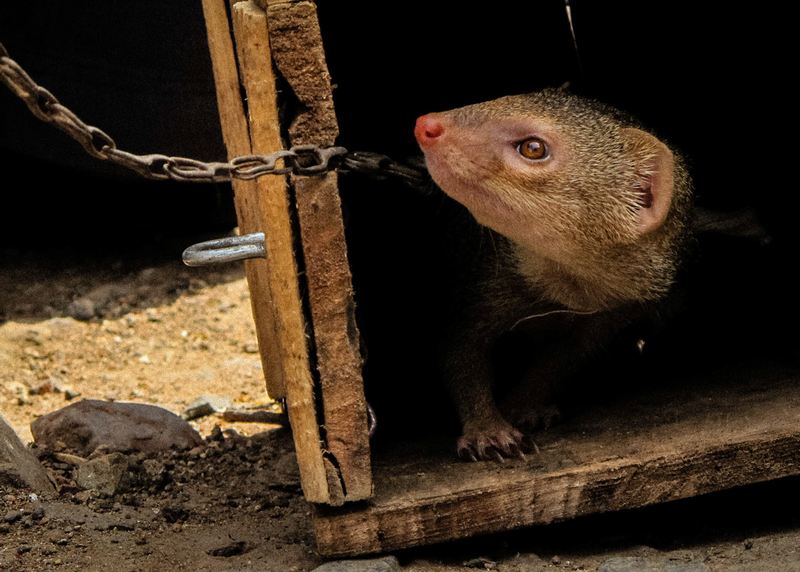 Rough trade: Animal welfare in the global wildlife trade. Bioscience, 63, 928-938. D’Cruze, N., Sawyer, J., De Vere, R., Benares, J., Farrance, D., Megson, S., & Can, Ö. E. (2013). 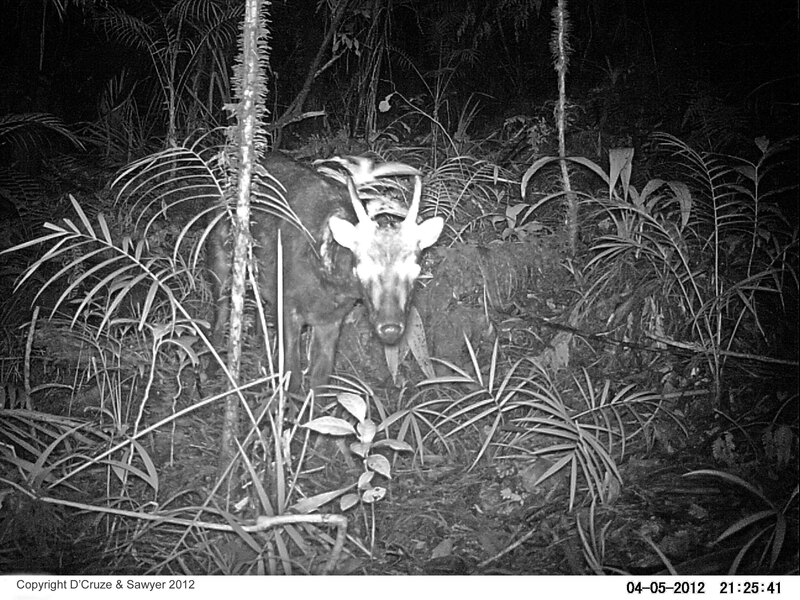 First images of the Visayan spotted deer and Visayan warty pig. Oryx, 47, 13-18. D’Cruze, N., & Kumar, S. (2011). Effects of anthropogenic activities on lizard communities in northern Madagascar. Animal Conservation, 14, 542-552. D’Cruze, N., Köhler, J., Vences, M., & Glaw, F. (2010). A new fat fossorial frog (Microhylidae: Cophylinae: Rhombophryne) from rainforest of the Forêt d’Ambre Special Reserve, northern Madagascar. Herpetologica, 66, 182-191. D’Cruze, N., Kumar Sarma, U., Mookerjee, A., Singh, B., Louis, J., Prasanna Mahapatra, R., Prasad Jaiswal, V., Kumar Roy, T., Kumari, I., & Menon, V. (2010). Dancing bears in India: A sloth bear status report. Ursus, 22, 99-105. Köhler, J., Vences, M., D’Cruze, N., & Glaw, F. (2010). Giant dwarfs: discovery of a radiation of large-bodied ‘Stump-toed Frogs’ from karstic cave environments of northern Madagascar. Journal of Zoology, 282, 21-38. Franzen, M.F., Jones J.J., Raselimanana A.P., Nagy Z.T., D’Cruze N., Glaw F. & Vences M. (2009). A new black-bellied snake (Pseudoxyrhophiinae: Liophidium) from western Madagascar, with notes on the genus Pararhadinaea. Amphibia-Reptilia, 30, 173-183. D’Cruze, N., Sabel, J., Dawson, J., & Kumar, S. (2009). The influence of habitat type and structure on the abundance of Phelsuma madagascariensis grandis (Gekkoninae) in northern Madagascar. Herpetological Conservation and Biology, 4, 55-61. D’Cruze, N., Henson, D., Olsson, A., & Emmett, D. (2009). The Importance of herpetological survey work in conserving Malagasy biodiversity: are we doing enough? Herpetological Review, 40, 19-25. D’Cruze, N., Köhler, J., Franzen, M., & Glaw, F. (2008). A conservation assessment of the amphibians and reptiles of the Forêt d’Ambre Special Reserve, north Madagascar. Madagascar Conservation and Development, 3, 18-28. D’Cruze, N., McDonell, Z.J., Langeveld, T., Brooks, P.D., Combrink, X., Seamark, E.C.J., & Kearney, T.C. (2008). Bat survey in the UMkhuze section of the Greater St Lucia Wetland Park, Kwazulu-Natal, South Africa. African Bat Conservation News, 17, 4-9. D’Cruze, N. & Stafford, P.J. (2006). Resource partitioning of sympatric Norops (Beta Anolis) in a neotropical mainland community. The Herpetological Journal, 16, 273-280.